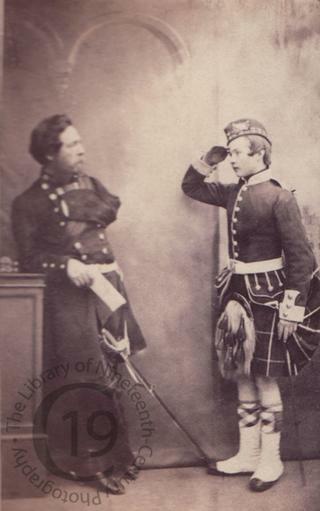 Colonel John Alexander Ewart of the 78th Highlanders was a veteran of the Crimean Campaign and the Indian Mutiny. On 1 December 1857, during an action with the Gwalior rebels at Cawnpore, a cannon ball took off his left arm. He died on 18 June 1904. From an album compiled by G.J. Hartley Esq.